We are thrilled to partner with the Professional Beauty Association (PBA) to promote all the amazing artists who are finalists for the 2015 NAHAs (North American Hairstyling Awards), the most prestigious hair and beauty award in the country. Bangstyle had the pleasure of getting to know Dallan Flint, one of this year’s finalists in the “Avant Garde" and "Haircolor" categories. Check out our exclusive interview with Dallan to learn more about his collection and what fuels his passion for hair. 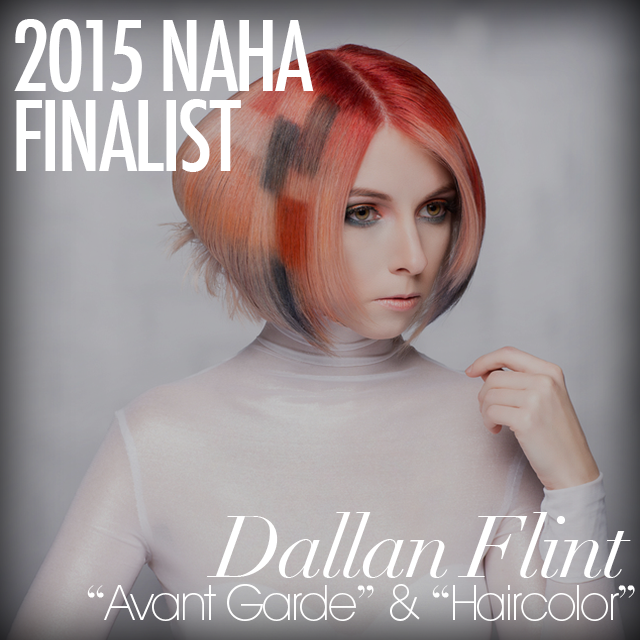 This is my first year being a NAHA nominee... and a two-time nominee at that! I’ve persistently submitted my collections year after year, and finally landed two nominations on my 6th year of entering NAHA. Never give up, be open and patient with those who offer advice, follow your heart and go with your gut. I have been nominated for Haircolor and Avant Garde. For my color collection, I chose colors that were rich, and beautiful. Colors that can easily be elegantly worn, and with the right cut and style, can be amped up to high fashion. I used techniques that would show the colors' richness, and went for a cut and style to show off its edge and beauty. For my Avant Garde collection, I was really focused on textures and really showing them off, placing them in a way that would give you a birds-eye view of a labyrinth. With that, came the decision to have the models looks glamorously statuesque. It’s definitely not as simple as it sounds. There were MANY F-bombs, and many times I felt defeated, but never gave up. Were there collections in the other categories that you found inspiring or particularly appealing? Everyone brings something different to the table, and it's always a great experience to see other artists' work. I have a few favorites that I’ve found quite appealing in the Masters and Hair Stylist of the Year categories, as well as some fierce competition in the Avant Garde category. What appeals to you about Avant Garde? Avant Garde lets me push my boundaries. It's finding the edge of glory and balancing everything right there, in that moment, and capturing it. Whether it be in the direction of glam, futuristic, grunge, fantasy or what have you; it's finding that moment where you slightly hold your breath and think to yourself, “Stunning,” “THAT’S IT!” & “We got it, we got it!”. I just love how crazy we can get in this category. Where do you constantly find yourself looking to for color inspiration? For styles? I find inspiration for color and styles in everything, and I literally mean everything. I get the most out of traveling, and exposing myself to different trends, cultures, architecture, and landscapes. 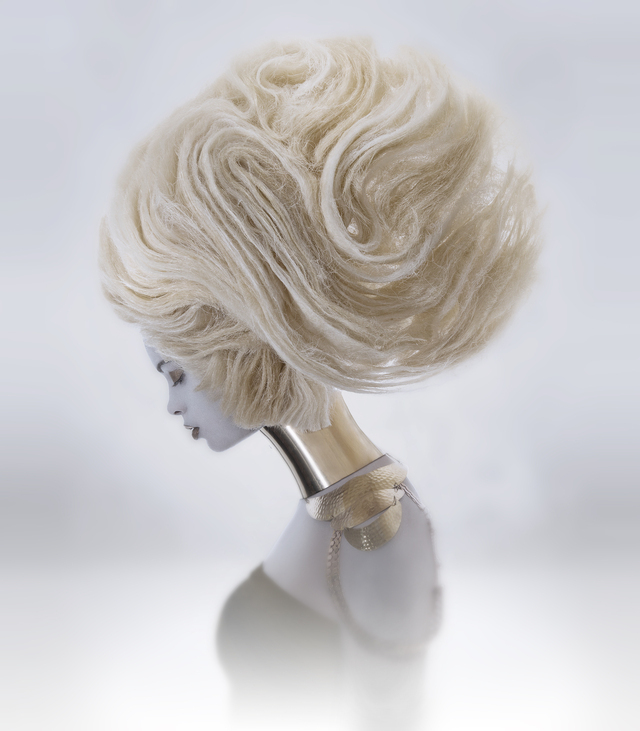 NAHA gives me the opportunity to express how much I love this industry, and I love what I do. To be able to share and inspire on a much larger scale than I could ever imagine. It opens up the door for further opportunities and experiences. 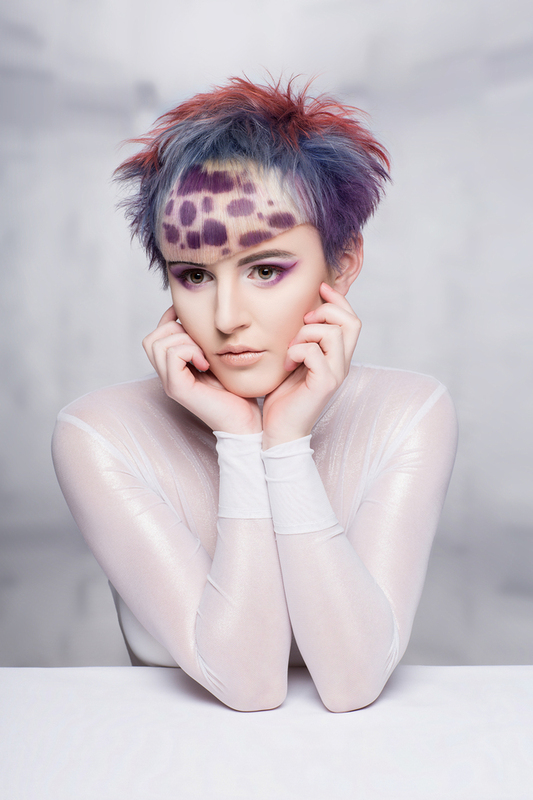 How do you think we as a community can do better at bringing consumer attention to all of the artistry that is NAHA? I think we are moving in the right direction. With social media being the number one source these days for word of mouth, we are getting the information out there & spreading the word more frequently and quicker than we ever have. Food, hydration, loud upbeat music, models who are on time, back up/on call models, several wardrobe options, tons of accessories, lots and lots of hair spray and bobby pins, positive energy, communication, patience, honest criticism, a team of energetic assistants, and a phenomenal make-up artist and photographer that see your vision all the way through. What trend do you wish would come back in style? Is there one you wish would go away forever? History always repeats itself and eventually that hair makes its way back to being in style. Traditional and reinvented, is what we talented hairstylists love to do. I would really love to see more hairstyles from the early 1900s come back in style. I absolutely fell in love with the movie “The Age of Adeline” and all of her hairstyles throughout the movie. What needs to go? When a client brings me a photo of a Kelly Clarkson, American Idol Season 1 - chunky bleach blonde and red highlight color. You KNOW what I’m talking about! Nah!! It’s gotsta GO!! Changing the world one head at a time. Changing the way people look at themselves, how they feel about themselves. Being able to express my artistic abilities on a large scale and on an everyday basis. Being a hairstylist also has this huge ripple effect that most people don't realize. Our hair is one of our most noticeable and important accessories. It determines how we feel, what we’re gonna wear that day, how we are going to carry ourselves, so on and so forth, and ripples out even further, like, how people perceive us, etc. HAIR’s a thought... it all starts at the root, with your hair. Hair is a powerful thing. Sour Patch Kids and Swedish Fish. Hah! For hair? it would have to be my new zigzag tool from Glampalm. I just can’t get enough! I wanna use it on everything and everyone!! 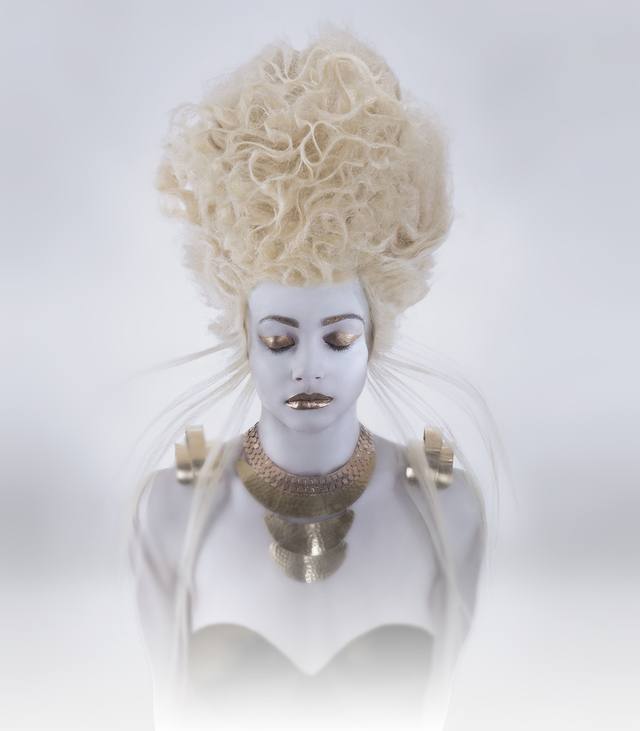 Be sure to Stalk Dallan Flint to see more of his stunning hair art and with him luck at the upcoming awards!